German Jews were fully assimilated and secularized in the nineteenth century - or so it is commonly assumed. 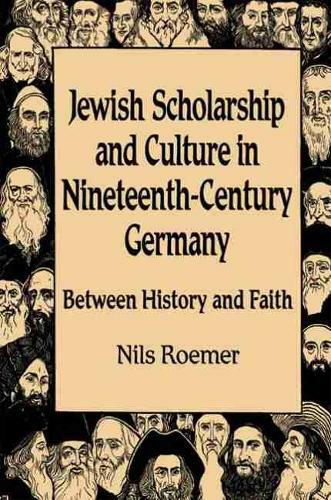 Nils Roemer challenges this assumption, finding that religious sentiments, concepts, and rhetoric found expression through a newly emerging theological historicism at the center of modern German Jewish culture. Modern German Jewish identity developed during the struggle for emancipation, debates about religious and cultural renewal, and battles against anti-Semitism. A key component of this identity was historical memory, which Jewish scholars had begun to infuse with theological perspectives. After German reunification in the early 1870s, Jewish intellectuals reevaluated their embrace of liberalism and secularism. Without abandoning the ideal of tolerance, they asserted a right to cultural religious difference - an ideal they held to more tightly in the face of growing anti-Semitism. This newly re-theologized Jewish history, Roemer argues, helped German Jews fend off anti-Semitic attacks by strengthening their own sense of their culture and tradition.